Unique hand made tiles and panels in natural shell material provide interiors with a completely lustrous and luxurious effect. In either natural or ambient lighting, walls and furniture turn into simple yet striking features within any room. 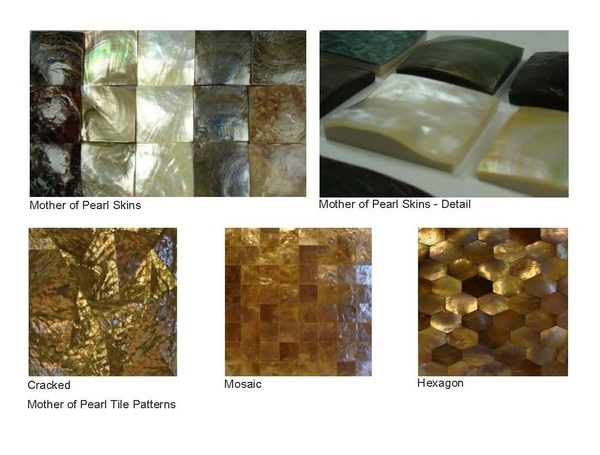 VMW provides various mother of pearl tiles and panels in a range of patterns, sizes and backing including paper, resin and ceramic.